Apr 2nd, 2019 12:59 PM 02.04.19 12:33 Received Payment 0.44 USD from account U17249229. Batch: 253986147. Memo: API Payment. Withdraw to ruvikrich from FXOption.biz. Mar 21st, 2019 09:19 PM 21.03.19 18:59	Receive	Received Payment 1.10 USD from account U17249229 to account U Batch: 252023649. Memo: API Payment. 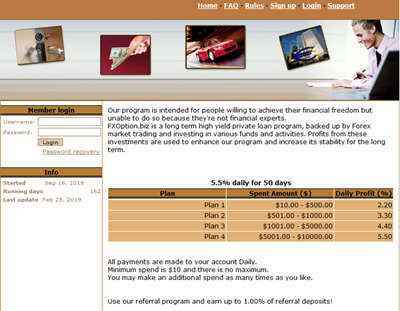 Withdraw to minskiy from FXOption.biz.